City of St Augustine's first condo development! 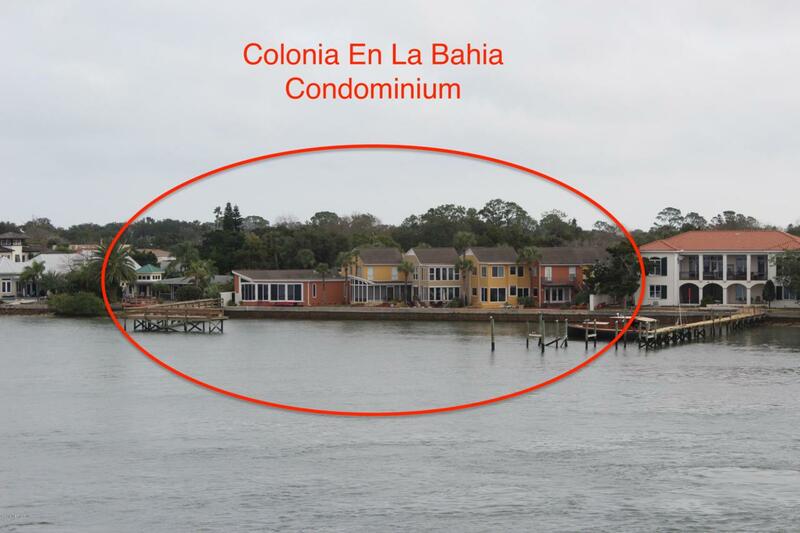 Unique design provides a private parking & courtyards plus views over Matanzas Bay! Private dock for watching spectacular sunsets or fishing. Steps to all downtown services & restaurants just minutes walk over Bridge of Lions. Townhouse floorpan has living room, kitchen, utility room, half bath & privacy walled patio downstairs. Up has 2 bedrooms, each with private bath & one 13'6 x 6' water view deck. If you want a great St Augustine hideaway this is it! Walk or bicycle to historic downtown, Anastasia State Park & St Augustine Lighthouse or short drive to St Augustine & Crescent beaches. Anastasia Boulevard is home to fine restaurants & craft brew cafes & shops.